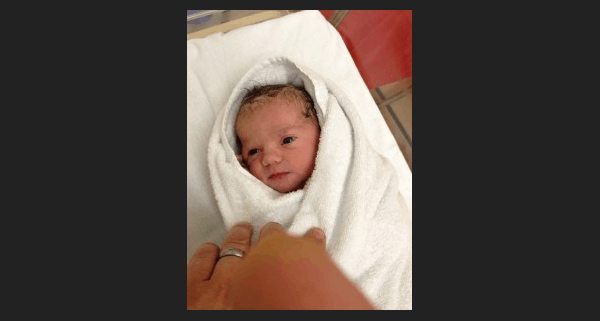 Some things in life are easy to control and Ashley Wright our Head Chef is a master at multi tasking and keeping tight controls in his kitchen – however on Tuesday evening Ashley definitely wasn’t in charge, his new daughter Daisia was. No, she didn’t take over the cooking from him, but she caused panic when she chose to arrive 3 days earlier than planned. Ashley had to leave mid service and make a mad dash to Truro hospital with his wife Karla, who gave birth to Daisia a few hours later. The picture shows just how beautiful she is. We wish them all the very best in their new life in Fowey. Unfortunately as we had only 1 chef working that evening all of the diners who had booked to eat that evening were were taken care of by our kind neighbours at The Bistro. We hear that everyone had a good time, so thanks everyone for your understanding.